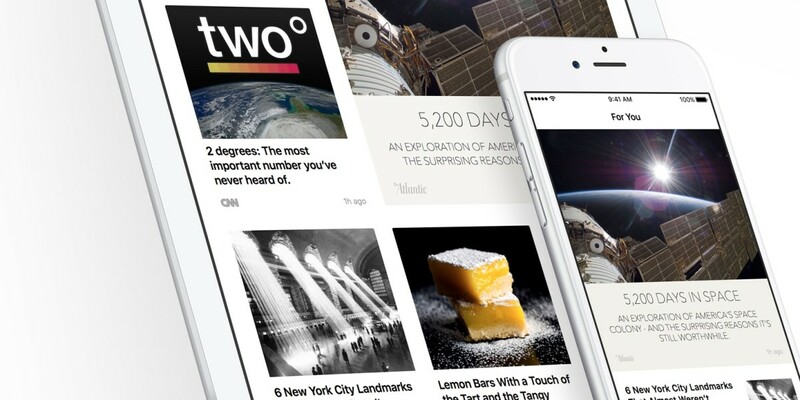 Apple News launched in Spetember and Tim Cook revealed in October that 40 million people had tried out the new app. But, despite releasing that figure, the company has admitted that it doesn’t really know how many people are using the app because of a glitch in its system, according to an interview with Eddy Cue, Apple’s senior vice president of internet software and service, in The Wall Street Journal (WSJ). Because of this, the company says it has been underestimating the figures it gives to prospective publishers and advertisers, as it’s safer than overestimating. Cue reiterated Cook’s statement that 40 million people have tried the Apple News app, but he didn’t elaborate on whether these users were returning or give any insight into the amount of traffic on the platform. It’s a little odd that Apple would be so careless or distracted enough to let this error occur, but we’ll have to take the company’s word for it right now. Tim Cook is due to address investors and analysts on January 26 to announce Apple’s quarterly earnings, so it could be an opportunity for the company to clear the air over its figures once and for all.